Discover your unforgettable experience at The Chanler at Cliff Walk, where nothing matters more than the satisfaction of our guests. Read on for some of our previous guests' reviews of The Chanler to learn just how special a stay at our historic Newport, RI hotel can be. “The Chanler was even better than the pictures. Food was incredible and the view was breathtaking. Our room was beautiful and I love how each room has a different look. I would reccommend this hotel to everyone. You can’t beat the location or the service." “I came here with my wife over Thanksgiving weekend. From beginning to end, the service was amazing. We received a full tour of the property upon checkin, there are rides given all over town, and even when there was an issue with our room, the staff went above and beyond in terms of being responsive and helpful. Service aside, the hotel is beyond gorgeous." 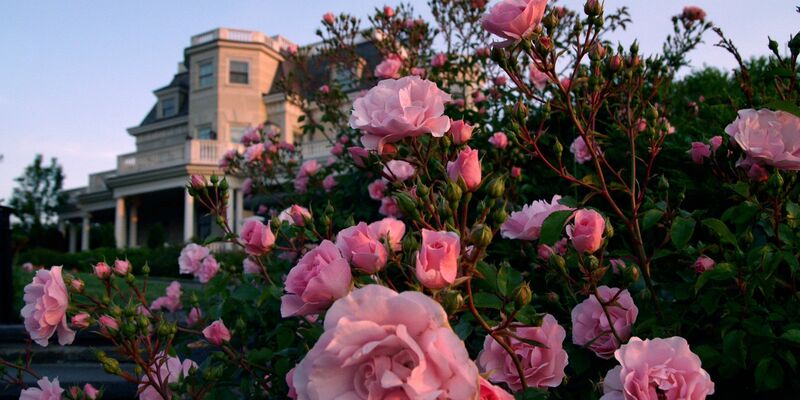 “This is our 3rd stay at The Chanler.It does not disappoint. Fabulous rooms, great Restaurant & Bar, wonderful staff!All the rooms are unique and are period designed.A beautiful property located on the ocean and Cliff Walk. Highly recommended!" “It's hard to put into words exactly how amazing The Chanler is. We arrived, were immediately shown to our guest room, which was beautiful and luxurious, and were driven into town by a wonderful young man named Clayton. He provided lunch recommendations and asked us to call when we wanted to return. Cocktails at the bar were reasonable and accompanied by truffle popcorn. Dinner at Cara was an incredible six course tasting menu. Wines were reasonably priced. The location is perfect - right on the Cliff Walk, which is worth the time to do (bring sturdy shoes). The guest room was outfitted with everything from a Nespresso to bottled beverages and a heated bathroom floor. Pure relaxation, romantic and elegant, we cannot wait to return." “The service in all departments go above and beyond your desires without even knowing that you desired something. Impeccable! I highly recommend everything about my stay from the private chauffeur service, the amazing food and amazing martinis, to the personalized hand written welcome letter from the proprietress. Every thought is put into every detail and it shows!" “I knew from the pictures on line that this was going to be a special property, but it was beyond my expectations!! From the friendly valet, to the attentive and personal front desk, our 3 night stay at the Chanler was perfect!! WE enjoyed dinner in Cara on arrival and it was the best ever!! Our room was the Empire. Beautiful, spacious and very romantic! Looking forward to a return stay!!" “This was our second stay at the Chanler and it was just as delightful an experience as our first visit. Every detail receives meticulous attention. It is a wonderful retreat even in the cold bluster of November with the cozy glow of our in-room fireplace. And of course a dip in our private jacuzzi!" “What a lovely experience! Everything from the attentive staff, stunning decor, overwhelming views and all in between. My husband and I came here for our mini- honeymoon. We stayed in the Williamsburg room. It was adorned with a cozy fireplace and Jacuzzi. We had a great stay and look forward to returning!" “We stayed for 3 nights during a Fall weekend and loved every minute of it. Our room and bathroom were gorgeous and extremely comfortable. The bed, pillows and linens are superior quality. Service is top notch. Friendly and helpful staff. The location and views are stunning. The car service is convenient and we used it many times. Worth every penny of the price to stay here. The Chanler is now one of my favorite inns in the US. I highly recommend this inn."